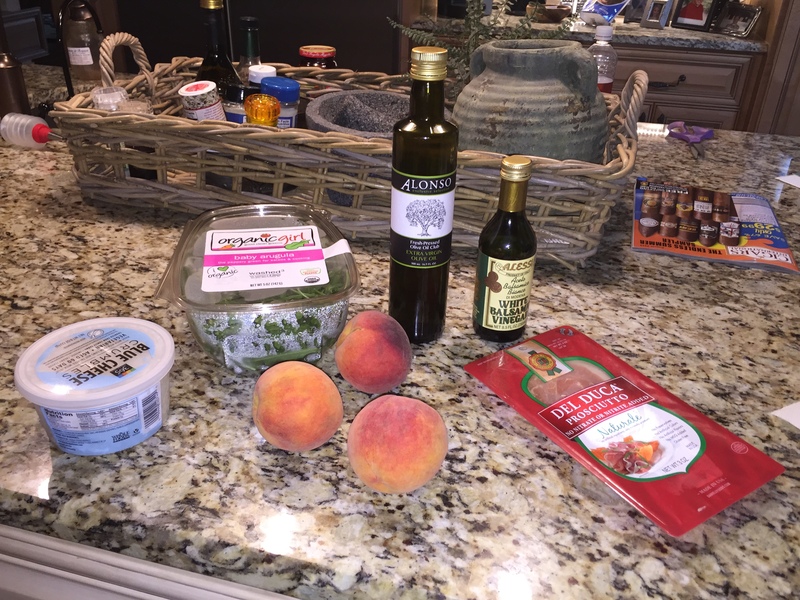 Peach and Prosciutto Salad | what are we having for dinner? Summer anyone??? Versions of this salad are cropping up at so many restaurants where I’ve dined. It’s my new favorite summer salad! It’s a meal in itself, but you can add some soup or some fresh fruit and crusty bread if you like. 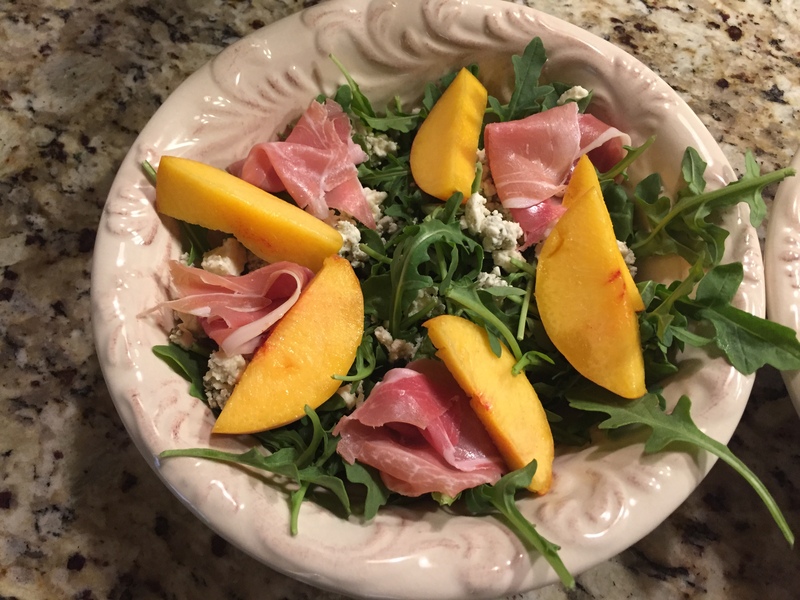 The combination of the tangy arugula, sweet peaches, strong blue cheese and salty prosciutto = TO DIE FOR! And a bonus – it gets no easier than this recipe. Serves 2. Coarse salt and Freshly ground black pepper, to taste. Divide the arugula among 2 plates or bowls. 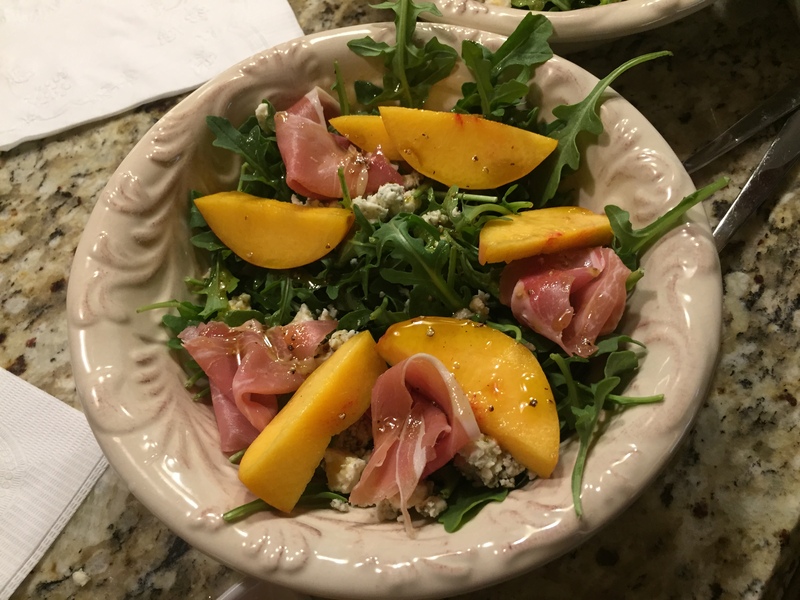 Top each plate with evenly divided peach slices, cheese, and prosciutto. 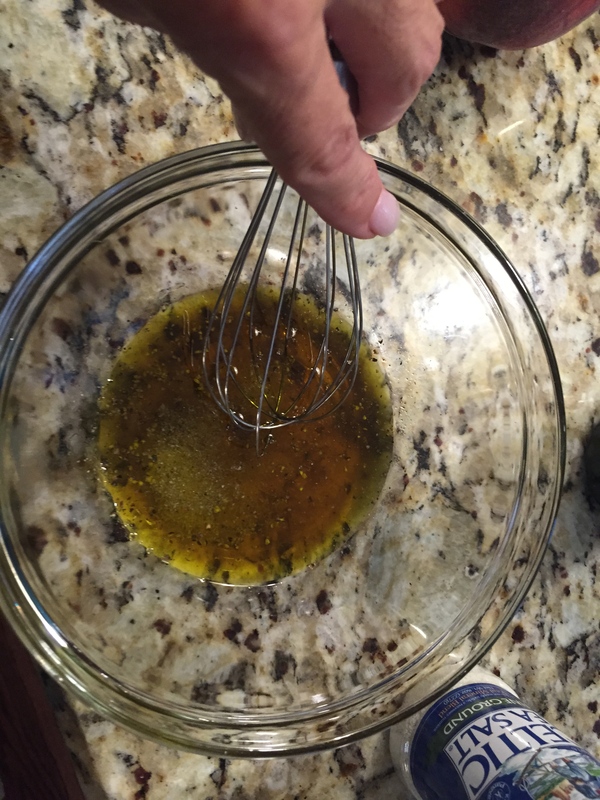 Mix the vinegar and olive oil together. Whisk in salt and pepper. Drizzle over the top of the greens and savor!